Worrying and harmful ingredients in food that you should avoid at all costs! So many times, we've been misled by food. Products promising to be healthy, nutritious and tasty are often anything but, with hidden ingredients lurking within to damage both our health and our weight. While we are huge advocates of avoiding processed foods wherever you can (enjoying fresh, natural produce will always be the easiest way to stay healthy! ), it's not always that easy. Here is our handy guide to some of the most common - and worrying - damaging ingredients that may be lurking within your food. Avoid at all costs! Although chemically similar to table sugar, this highly-processed sweetener is cheaper for companies to produce and add to food. While it may be a form of glucose converted to fructose (the sugar you find in fruit), it's dangerous to our bodies, and has been linked to obesity, over-eating, type 11 Diabetes and much more. Beware - just because packaging isn't labelled with "sugar" doesn't mean it's free from the white stuff! 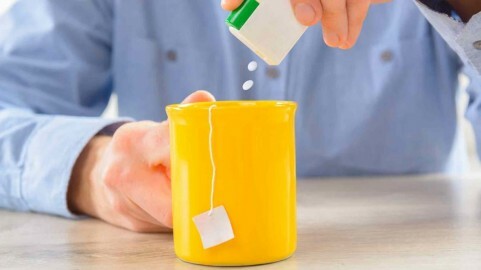 There are plenty of other names for toxic and damaging artificial sweeteners. Some of the ones to look out for include sucralose - often marketed as "natural" but has been chemically altered - aspartame, which has been linked to certain cancers, and Acesulfame-K, which has been found to trigger cancer in rats. Avoid at all costs. As one of the main sources of trans fats, this nasty addition to foods is dangerous and harmful for the heart. Food manufacturers add it because it's cheap to buy and extends shelf life, but they are difficult for our bodies to digest and can boost bad cholesterol levels and cause heart disease, diabetes and nutritional disease. This additive can be used to colour and also extend the shelf life in processed meats. However, sodium nitrate can also mix with the body's own stomach acid to form nitrosamines, otherwise known as possible cancer-causing cells. Often found in fruit juices, fizzy drinks and pickles, these are naturally-occurring and usually only affect those with allergies. However, when sodium benzoate is used in foods which also contain Vitamin C, the substances can form small amounts of benzene, a chemical which has been linked to leukaemia and other cancers.